Virgo dating Taurus might at first get stuck in the courtship stage but everything will seem perfect for both after this period. Virgo is the cautious partner in Virgo Taurus compatibility. Thus, they would be careful with the individuals that want to spend the rest of their lives with them. Additionally, just like Taurus, they are also perfectionists. This means that Virgo Taurus relationship would be close to perfection once both lovers decide to settle together. Taurus and Virgo also value common sense in the same way. They would have a similar direction that they would follow when they want to achieve their goals. Virgo Taurus Love Compatibility is expected to be great. This is simply because partners have mutual goals and values that they share. The chances of conflict in terms of the goals that are set for Virgo Taurus in love are close to zero. Taurus would be alright with the fact that Virgo wants something to be done in a particular manner. What they are more concerned about is whether a particular action would be handled effectively or not. Therefore, they would be contented with the fact that Virgo is always right in the way they handle issues that face them. Virgo would also not mind when Taurus handles such issues. As pointed out earlier on, they are both perfectionists. 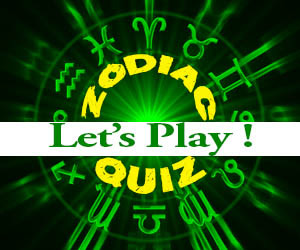 This means that they would be careful not to make wrong decisions for the sake of Virgo Taurus compatibility. In addition to the above, Virgo Taurus friendship is expected to have a strong foundation. Both lovers are hardworking. This means that they would stop at nothing to have a comfortable life that they both yearn for. The sheer fact that Virgo and Taurus sexuality is materialistic in nature implies that this pair would strive to create a good life. Test your friendship compatibility. One thing for certain is that Taurus will never apologize to Virgo for their ever busy schedules. The same case applies to Virgo. Both lovers deeply understand that they both need to sweat to earn the comfort that they crave for. As a result, in as much as they might be workaholics, they would never criticize each other for this. 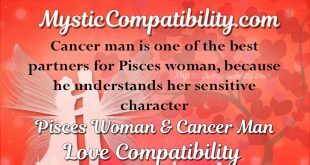 This makes Virgo Taurus Love Compatibility to work in a most harmonious manner. Virgo and Taurus compatibility is best when they enter a love affair. This is due to the fact that they will always complement each other. Virgo would be admired for the way they will keep this relationship organized. In addition to this, they will bring in some aspect of humor while trying to make certain that the affair is not boring and gloomy. These are basically some of the things that Taurus would admire from their Virgo lovers. In the same way, Taurus would have something to offer in return. They are patient and that they believe in a stable relationship. 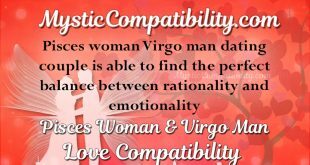 For this reason, they will bring the balance and seriousness that Virgo demands for in any love affair. From this, it is expected that the Virgo Taurus Compatibility would last for a long time to come. Perhaps Taurus would also be the best partner to ensure that Virgo deals with their worrying attitude. On a positive note, it is this attitude that makes them to take things seriously. Therefore, Taurus might be patient enough to consider this as a positive aspect of Virgo Taurus sexuality. The best part is that Taurus would never suppress Virgo from doing what they think is right. They would only be concerned whether they are doing it in the right manner. The thought that Taurus is behind Virgo in every move that they make definitely makes them feel confident. Thus, sound decisions would most likely be made. This sounds like a perfect Virgo Taurus compatibility destined to last. In the event that Virgo Taurus Compatibility gets to marriage stage, lovers would complement each other accordingly. Taurus is known to be the ideal homemaker in any relationship. If Virgo is the man here, they would be certain that they would head to a place they can call home. The good thing is that Taurus would be certain that their man is spending their money wisely to create a good home for them in future. The future seems bright for Virgo and Taurus marriage. Indeed, both of them have a similar outlook towards the future that is ahead of them. Get your wedding date. Communication will bring Virgo and Taurus compatibility together. There is no day that would end without these Virgo Taurus soulmates talking to each other. If this is a distant relationship, communication is what would hold you together in place. Expect the Virgo partner to be understanding when you call them while out working. The same understanding nature would be experienced when Taurus is out on a trip. Conceivably, this is one of your strengths in Virgo Taurus marriage compatibility. It would be handy when both of you are not in good terms. Virgo Taurus break up may happen because of the stubborn nature of the Taurus woman. While Virgo is more of a perfectionist, there are instances where the woman might fail to heed in to their commands. This is where Virgo Taurus compatibility could fall apart. Both lovers would argue that the other is on the wrong side. None of them would be willing to come to an agreement and solve their issues. Heated arguments would be the order of the day when Taurus makes any mistakes when the man is out looking for money. 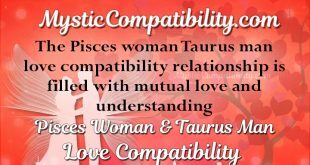 The bad temper that Taurus might have occasionally could also have a negative impact on Virgo Taurus Love Compatibility. This is one of the things that Virgo hates most. They would rather engage and argue with their lovers intellectually rather than being shouted at. Test you biorhythm compatibility. Therefore, if you are a Taurus and you have a bad temper, then it is wise you hide this from your Virgo lover. Alternatively, considering the fact that you are both honest and loyal partners, you could open up and share. Your partner is mutable and they would understand where your emotions are coming from. From the look of things, Virgo Taurus Love Compatibility is a match fated to succeed. There are a few differences that these lovers would have to work on. Nonetheless, the good side should not blind the lovers to forget about the future of their relationship. There is a likelihood that the ‘perfection’ found with Virgo Taurus in bed could blind lovers to try harder in making their love beautiful. They already have what it takes even before they try falling in love with each other. If they fail to impress each other on a regular basis, the love affair might reach a point where it is plain. Not bad and not good enough. Virgo and Taurus should simply appreciate each other on a regular basis. This is what would keep them going. It is recommended that they should find exciting activities that would add some sparkle into Virgo Taurus compatibility. This will prevent this affair from being boring after a few months or years of dating. With everything good on your side, nothing can stop you from enjoying what this world has to offer.